One direction derailing for use with 4-axle and 6-axle locomotives and all freight cars. For use on wood or concrete ties. 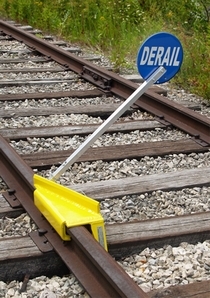 Blue derail sign and holder are included with all derails.